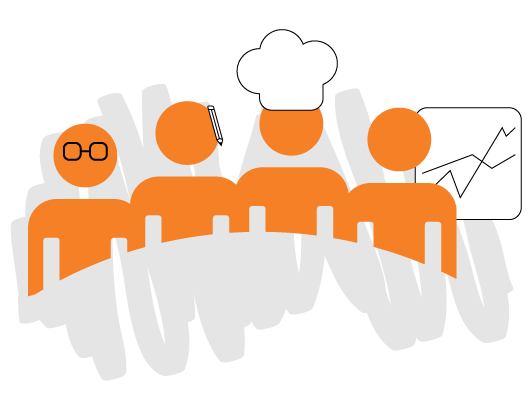 TOP Food Lab is an open food innovation platform, that is run by a young and dynamic team of food professionals that takes account for concept development and food design at TOP BV. TOP BV’s expertise on innovative food production technologies opens a great window of opportunities for healthier and tastier food products. Within TOP Food Lab, we use these technologies to design innovative supermarketable food products. An examples is the gazpacho con amor that we developed with a Spanish partner by use of pascalisation technology. Gazpacho is a very popular dish in Spain. It is however not very popular as a product, since the Spanish dislike the heat-pasteurized tomato taste. Pascalisation made it possible to retain the aromatic flavour of fresh tomatoes, with similar shelf-life as the heat-pasteurized product. See also our Showcase. We invite you to come and discuss with us how the opportunities of open innovation can serve your idea or company. For more information: How it works.